Nick Campanella graduated from Queens College with an MFA in fiction writing. He was the youngest in his class and first to graduate. His thesis is an unfinished, novel-length story about a young man from Long Island trying to make a difference in his Brooklyn community after a shooting. 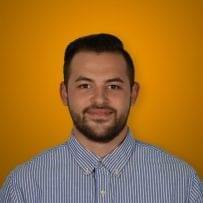 Nick has interned for various companies including Seven Stories Press, Publishers Clearing House, and Tremr. His writing ranges from fiction, to poetry, to creative nonfiction. When his pen isn’t to a notebook, when his fingers aren’t banging on his typewriter, he can be found in the gym, somewhere in the mountains upstate, or binge watching The Office on Netflix.